Do you have an editorial calendar for your blog? 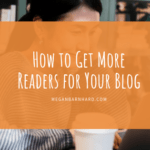 Maybe your eyes just lit up at the thought of having a way to organize your blog so you never have to worry about what your next topic will be. But maybe you just started squirming in your seat because trying to force yourself into a writing schedule makes you want to angry dance like Kevin Bacon in Footloose. Whatever reaction you had, I’m about to rock your world. 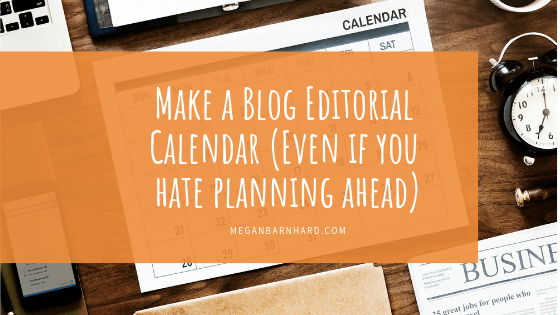 Because this post is all about how to create a blogging editorial calendar in a way that honors your natural thinking style. Planning Pro? Seeker of Spontaneity? I got you covered. Let’s dig in. The first thing to know is that there’s no wrong way to plan and execute writing. Your writing process is uniquely you. Planning is a hugely important but often overlooked part of the writing process. Do you like to start with the big picture and work down to details? Do you begin with details and gather them up into big ideas? 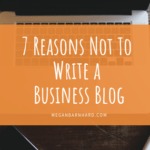 The more you blog and write for your business generally, the more you’ll discover your writing and planning style. Do you love organization? Do spreadsheets make your heart flutter? Are you a super planner, scheduling events months in advance? Your blog editorial calendar is a way to organize what content you’ll publish when so you stay on top of your business blog. Ever wondered how all those glossy magazines bring you flawless photos of a Thanksgiving feast at the beginning of November? It’s because they photographed it back in July! And the way they keep track of what to write and shoot when is through an editorial calendar. To create an editorial calendar, you’re going to get a big-picture view of your biz. You can plan quarter by quarter or dig in and plan through the end of the year. Do what feels right for you. Go open a spreadsheet in your favorite software. (I personally use Google Sheets.) Or simply grab a piece of paper and draw your own rows. If you bullet journal, you can create an editorial calendar spread. Make this work for you. Step 2: Using the dates from Step 1, fill in any holidays or special events happening in the world. Add in what will be going on in your life. Will you be out of town? Will you have times when you’ll be extraordinarily busy? Step 3: Using the dates from Step 1, fill in anything going on in your business, like events, specials, new products/services, or things you want to promote. Step 4: Using what you came up with in Step 3, start brainstorming topics that will lead into those events/products/services. How can you inform people? How can your posts create interest, desire, and ultimately action around this topic? Need help brainstorming topics? Check out my 5 questions to come up with 25+ blog post ideas. Step 5: Commit to when you’ll write your posts. Write down that date and put it on your calendar. Make sure to check back with what you wrote down in Step 2. Do you need to “batch” a few posts this month to cover for when you’ll be out of town next month? Step 6: Put your plan into action. I highly recommend marking things as DONE once they’re published. This creates a nice dopamine hit for your hardworking brain. Get fancy. Fill in the “DONE” box with your favorite color. Make a sticker chart. How can you train your brain to love the feeling of publishing a blog post? Do you love going with the flow? Do you crave freedom and flexibility? 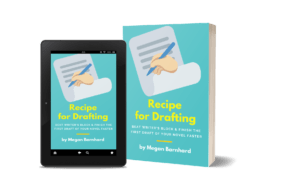 Does the thought of a rigid writing schedule make you cringe? I tend to run this way. I love being inspired and sitting down to write a blog post in a flurry of excitement. But I HATE the feeling of needing to write a blog post and not having any ideas. I’ll bet you do, too. For those of us who like flying free — but appreciate a net — a short-term editorial calendar is fabulous. Basically, you’ll create a calendar one week at a time, but you’ll always have lots of topics on hand to choose among that you can pop into your calendar on any given week. Instead of starting with a big idea, top-down approach, you’ll get started by looking at the details and using a bottom-up approach. 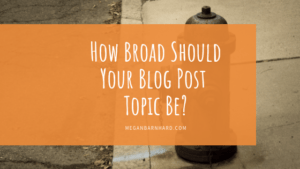 You can browse different types of blog post and braindump all your ideas. You can also free yourself completely from structure and forage for free-range blog posts. 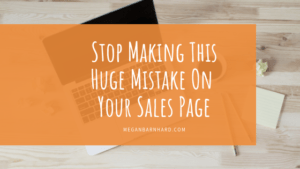 This means you simply pay attention to what ideas come up about your business and start jotting them down so you can turn them into blog posts later. Step 2: Pay attention to conversations you have with customers, consults, and random people you talk to at the farmer’s market. What tips do you always give about your business? What stories or conversations spark interest for you? Braindump everything into your blog notes. Step 3: At the end of the week, transfer your notes into a single document. Could be a spreadsheet, a blank piece of printer paper, or a spread in your bullet journal. Step 4: Turn each question or conversation into a specific topic you want to write about. Step 5: When it’s blogging time, choose a topic that interests you and go to town! 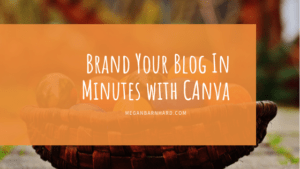 Step 6: Add a call to action to your blog post that directs people toward a product, service, or event in your business that’s related to the topic. Even if you enjoy planning, you might like using the blog topic braindump as a way to get started. Maybe you’ve never considered yourself a planner, but you’d feel a heckuva lot different about it if you could start planning by listening and getting inspired. You can think of great ideas for posts and then fill them in on a traditional editorial calendar based on what you’ve got goin’ on in your business. 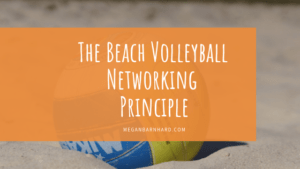 I help my blogging clients find their preferred planning style so they can skip the frustration and get straight down to writing posts that connect with their audience. The key thing is to find the process of building an editorial calendar that feels good for you. Because when it feels good, you’ll actually do it! Are you a Planning Pro? A Spontaneity Seeker? Somewhere in between? Let me know in the comments. I’d love to hear what your planning process looks like.